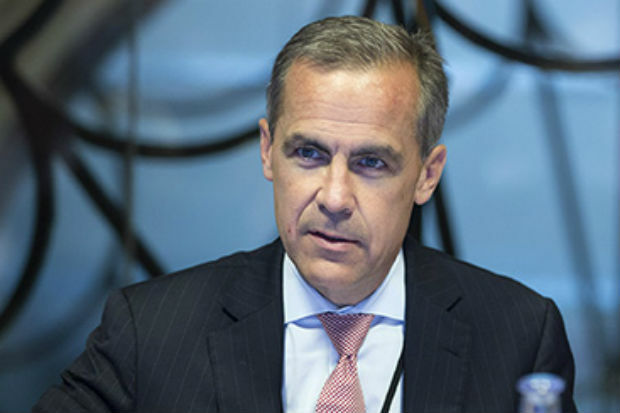 What attracted you to the role of the Governor of the Bank of England? When I was first approached, I was attracted by the scale of the challenges of sustaining the nascent UK recovery, helping to reform the UK financial system and modernising the Bank of England. 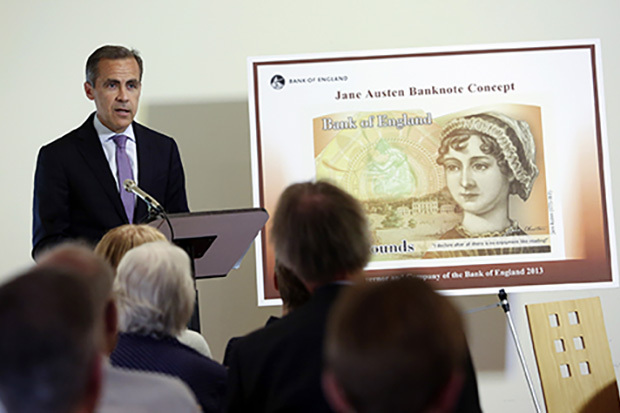 During my time as the Governor of the Bank of Canada, I always looked at the Bank of England with admiration. Over its 324 years, it has constantly demonstrated both intellectual leadership and dedication to public service. For centuries, it has been at the centre of the global financial system. The quality of the organisation has always been evident in international fora, and being at the heart of the world’s pre-eminent financial centre means there is no match for the importance of the issues the Bank tackles, and the intellectual and practical policy challenges it faces. It was an unrivalled opportunity to refresh and modernise the organisation to get the most out of it, building on those historical and extensive strengths.My experience here has exceeded all of my initial expectations. A good question is also how I ended up as a central banker in the first place. It was not my original plan. I studied economics and initially worked as an investment banker, moving jobs every 18 to 24 months across three continents. I found the issues I most enjoyed were where the public and private sectors intersected. So, when the opportunity at the Bank of Canada came up I jumped at it. I have been privileged to learn from remarkable people, and it’s through these partnerships and by following what interested me most that I ended up being in the right place at the right time, first at the Bank of Canada and now at the Bank of England. You recently released a report on the potential implications of EU withdrawal on monetary and financial stability. What are the main messages in that report? The report was our response to a request from the House of Commons Treasury Committee for the Bank of England to publish analysis of how Brexit will affect the Bank’s ability to deliver its objectives for monetary and financial stability. The report sets out six scenarios, illustrating what could happen – not necessarily what is most likely to happen – under a range of key assumptions. These scenarios are calculated for the policy-relevant timelines for the Bank – up to five years. As such, they are not assessments of the relative long-term merits of different trading relationships. The six scenarios range from a smooth transition to an arrangement in which the UK retains a ‘close economic partnership’ with the EU (including comprehensive arrangements for free trade in goods and some trade in business and financial services) to a disorderly no-deal, no-transition scenario. The latter is underpinned by worst-case assumptions, including that the UK loses the existing trade arrangements it currently has with non-EU countries through membership of the EU, that the UK’s border infrastructure does not cope smoothly with new customs requirements for some time, and that there is a pronounced increase in the return investors demand for holding sterling assets. The implications of Brexit for the appropriate path of monetary policy will depend on the balance of their effects on demand, supply and the exchange rate. The Monetary Policy Committee [MPC] judges that the monetary policy response to EU withdrawal, whatever form EU withdrawal takes, will not be automatic and could be in either direction. Although the nature of EU withdrawal is not known at present, and its impact on the balance of demand, supply and the exchange rate cannot be determined in advance, under all circumstances the MPC will respond to any material change in the outlook to bring inflation sustainably back to the 2% target while supporting jobs and activity. Securing an implementation period will minimise the near-term financial stability and economic risks of a disruptive withdrawal from the EU outlined above by providing time for authorities, infrastructure providers, financial and non-financial businesses time to address cliff-edge risks. The Bank of England – alongside other domestic authorities and financial companies themselves – has put extensive contingency plans in place to support institutional resilience and market functioning in theevent that the UK leaves the EU without an implementation period. The Financial Policy Committee [FPC] judges that the UK banking system is strong enough to serve UK households and businesses even in a disorderly Brexit, and that the major UK banks have ample liquidity to withstand a major market disruption. The FPC has worked with other authorities to ensure most risks of disruption to cross-border financial services have been addressed. Whatever form and path Brexit takes, the Bank will take all the necessary steps to achieve its objectives as the UK leaves the EU. However, monetary and financial stability are necessary but not sufficient conditions for long-term prosperity. The economic consequences of Brexit over the longer term will depend on the nature of the UK’s future trading relationships, other government policies, the readiness of each sector for Brexit, as well as the reaction of households, businesses and financial markets, and ultimately the ingenuity and enterprise of the British people. The Bank of England has been preparing for a no-deal Brexit since 2016, do you think that the work done by the Bank since then will help protect financial stability? The committee has stress-tested banks to the most severe scenarios in the report, and judged that even in these worst-case outcomes banks would be able to continue lending. Today, UK banks hold three and a half times more capital than they did before the global financial crisis, and even a shock as large as that would leave the major UK banks’ aggregate CET1 capital ratio at twice its pre-crisis level. Globally, the resilience of the financial system has increased too: for the world’s largest banks, the requirements and buffers for common equity – the most loss-absorbing form of capital – are now ten times higher than the pre-crisis standard. Banks also have ample liquidity to withstand a major market disruption and could survive many months without any need to access wholesale funding or foreign exchange markets. They hold more than £1 trillion of high-quality liquid assets, which is more than four times more than before the crisis, and can access an additional £300 billion of liquidity through the Bank of England’s regular facilities. The Bank can lend in all major currencies, if required. Since 2017 the FPC has published its assessment of the risks of disruption to financial services provided across the UK-EU border and a checklist of actions required to reduce those risks. We have been working through these actions with HM Treasury, the Financial Conduct Authority [FCA] and our counterparts in Europe to reduce these risks. The FPC is committed to the implementation of robust prudential standards in the UK, and in this context has considered how it would maintain its ability to manage UK financial stability risks under a range of possible future relationships with the EU in financial services. The UK is home to the world’s leading international financial centre, and with assets around ten times UK GDP, the scale of activity in the UK financial system is unmatched in other jurisdictions. This confers a special responsibility on the Bank to ensure that the system is robust to a wide range of potential domestic and global shocks. How does the Bank work with other areas of the Government on Brexit? We work most closely with colleagues at HMT and the FCA, as is usual for issues relevant to financial stability. This is formalised by their membership of the FPC, but filters down to working level as well, where we have regular information exchange. Our work on Brexit has also benefited from conversations with other government departments. Brexit is unique, and one of the key uncertainties is the extent of short-term disruption as the UK withdraws from the deep and complex trading relationship it currently has with the EU. In addition to the survey conducted by the Bank’s agents, we had conversations with various experts to improve our understanding of possible causes of disruption and mitigation across sectors. One of the recommendations in Sir Michael Barber’s public value review was the creation of a Public Value Framework to measure the likelihood that public spending was driving up improved outcomes in people’s lives. 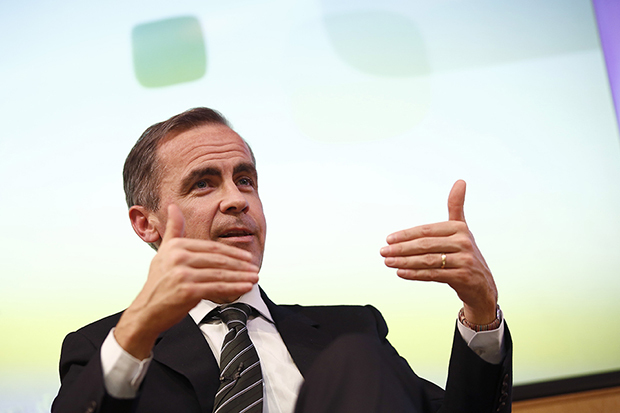 How does the Bank of England ensure it delivers value for money? We have held our headcount and nominal budget flat for two years, and managed that while meeting major new demands arising from the decision to leave the EU. The Bank receives no direct taxpayer funding or grants from government. At the heart of the Bank’s current strategic plan, Vision 2020, is an initiative to ‘do what matters most’. This means prioritising work within our flat nominal budget constraint that makes the biggest contribution to the Bank’s mission, and so maximises value for money while containing costs. Every year the Bank’s governors decide its strategic goals, which are the key changes we need to make today to deliver our core functions more effectively in the future. These feed into local priorities, and since 2017 this process has been overseen by a Director of Priorities and Resources and a network of local prioritisation managers. All areas have three-year business plans, which are renewed annually and reviewed for smaller changes on a quarterly basis. Ultimately, this means we need to be streamlined and efficient. Our Cost Containment Group promotes cost-containment initiatives and facilitates temporary re-allocations of budget and headcount. And we have recently refreshed our policies on procurement, travel and expenses. Our delivery of value for money is regularly assessed by the National Audit Office [NAO], and the most recent NAO report acknowledges the Bank’s ongoing efforts and forward agenda to transform its provision of central services. The NAO recognised, for example, that in relation to other central banks the Bank already employs a smaller proportion of its staff in central services than the median. More broadly, achieving value for money requires a culture where local areas and individuals are empowered to both take and challenge decisions. This is supported by our Vision 2020, which includes initiatives around more effective decision-making, unlocking potential and enabling stronger collaboration. What are the greatest challenges in making the Bank a more diverse and inclusive place, and what are you doing to tackle them? Promoting diversity and inclusion has been a top strategic priority for the Bank’s executive team and Court of Directors since I became Governor. The strategy is working and we have made considerable progress. We now have 31% female and 5% BAME representation at senior levels, compared to 17% and 2% five years ago. Of our 622 new hires last year, 43% were women and over 25% came from a BAME background. Our 2017 graduate intake came from 35 different UK universities, and from a wide range of degree disciplines – only around half of our new graduate entrants have studied economics. Of those newly hired to the graduate programme in 2017, 44% were female, 22% BAME and 53% were from lower socio-economic backgrounds. This direction of travel is encouraging, but we do not yet consider it job-done, and will continue to set ambitious goals as well as strengthen our external accountability. We value diversity for at least three reasons. First, a public institution needs to reflect the public it serves. Second, diversity helps build the trust we need to deliver our remits. Third, it is well established that diversity leads to more creative thinking and reduces the risks of groupthink and bias. The Bank defines diversity as both ‘who we are’ (identity diversity) and ‘how we think’ (cognitive diversity). And we have stressed that, while diversity is a reality, inclusion is a choice. Inclusiveness unlocks the true value of an organisation’s diversity: through inclusion, people can realise their full potential. So our commitment is not only about meeting targets. We are also focusing on building a culture that values diverse ideas, encourages open debate, and empowers people at all levels to take the initiative. The challenge is evident in the history of the Bank. Our first female court member, Frances Heaton, was only appointed in 1993, while our first BAME member, Lord Morris, followed five years later. And I am the 120th in a very long line of male governors of the Bank. Ten years ago our graduate intake was drawn from just 11 universities, and there continues to be limited diversity in both US and UK economics departments. Our strategy to tackle these challenges is therefore necessarily focused on both building a pipeline for a diverse set of future senior appointments, as well as broadening the diversity of our talent pool for school leavers and graduates. We are taking a wide range of measures. As part of our 2014 Strategic Plan we set ourselves stretching targets: 35% female colleagues in senior roles by 2020, 13% BAME colleagues in senior roles by 2022, 50% female and 20% BAME representation below senior management level by 2020. And we have explicitly linked values – Collaborative, Inclusive, Empowering, Decisive and Open – to performance management and employees’ rewards. Our executive directors have specific performance objectives linked to diversity, and all managers take inclusive leadership training. We launched our inclusion strategy in 2017. We anonymise all CVs, strive for balanced shortlists and interview panels, and have run pooled recruitment for the last three rounds of senior appointments. We have launched a Career Returners programme to attract and support professionals returning to the workforce. And we have launched a variety of mentoring schemes to help individuals achieve their goals, learn from others, build relationships and increase their confidence. To broaden the diversity of our talent pool, we now recruit from more UK universities – recent graduates have come from 40 different universities, up four times as many as a decade ago – from a wide range of degree disciplines, and in 2016 we launched a Central Banking Qualification to train employees from non-economics or technical backgrounds. We have launched an education outreach programme, ‘econoME’, which includes free classroom materials and we are committed to visiting 200 schools a year. We also run structured work experience programmes for young people from lower socio-economic backgrounds, and an African-Caribbean Scholarship Programme to support students from Black or Mixed African or Caribbean backgrounds through their undergraduate degrees. Looking forwards, what opportunities do you see in the UK economy and in financial services? We are on the cusp of a fourth industrial revolution, with the potential to transform fundamentally the nature of both work and commerce through advances in artificial intelligence [AI], automation, interconnectedness and machine learning. The economy is reorganising into a series of distributed peer-to-peer connections across powerful networks – revolutionising how people consume, work and communicate. The financial implications of these developments are only beginning to be realised, but they are likely to be immense. As regulators, we have a responsibility to set a policy agenda that allows innovation in finance to flourish and financial stability to prevail. And a financial system built for the fourth industrial revolution will help to support and smooth the transition in the wider economy. The use of AI in finance has the potential to improve customer choice, services and pricing, reduce transaction costs, improve diversity in the system and increase access to credit for households and businesses. Recognising this, banks have invested $10 billion in AI since 2010, and that is expected to quadruple by 2020. The financial sector is the largest customer of AI. For its part, the Bank is upgrading our RTGS [real-time gross settlement] system – the backbone of every payment in the UK – to take advantage of these new technologies. The new RTGS will be able to interact with distributed ledger technology, can be accessed by non-bank payment service providers, and will capture richer data on every payment. This will not only lower the cost and increase the speed of payments, but has the potential to be transformative beyond the financial sector. The more seamless payments are – including cross-border – the more UK households and businesses will benefit from the new global economy. And richer, standardised data will support greater choice and competition in financing for corporate end-users, particularly small and medium businesses [SMEs]. These new technologies could also promote inclusive growth by supporting free, efficient and sustainable movement of capital between jurisdictions which will, in turn, support trade, investment and jobs. These benefits would multiply if delivered alongside services trade liberalisation, which has the potential to increase productivity growth, reduce excess imbalances, and make free trade work for all, including SMEs. Finally, challenges can also create opportunities. Mobilising cross-border private sector investment is the only solution to financing global development needs and protecting the global commons from threats such as climate change. The G20 and the Bank are supporting the private sector by encouraging disclosure of climate-related risks and opportunities through the G20 Task Force for Climate-related Disclosure. The list does not end there. The Bank’s Future of Finance project is exploring what the financial system of tomorrow might look like, and what that means for our priorities now and in the future. The project is digging further into a range of issues, including the implications of an ageing population, big datasets, the integration of emerging markets into the global financial system, the transition to a low-carbon economy, and all of the opportunities financial technologies could provide to UK households and businesses. What advice would you give to ambitious civil servants aspiring to accelerate both their personal and professional development? Experience has taught me that the road ahead will not be straight, and it is unrealistic to map out the decades ahead. As John Lennon said: “Life is what happens to you while you’re busy making other plans.” But I have found that those most pleased with their careers are usually those who have continued to pursue their interests, stayed true to their values, and given back to their communities. The next generation will go through their careers in a world of tectonic shifts, including unprecedented globalisation of trade, capital and ideas, as well as the beginning of the Fourth Industrial Revolution. The good news is that amidst this uncertainty lie great opportunities for the next generation to build the new economic and social engines of our shared prosperity. To navigate these opportunities, I recommend ‘the 3 Ps’, which have served me well: purpose, partnerships, perspective. In a world of division, ‘partnerships’ will bring breakthroughs. Select your teams wisely and recognise that while diversity is a reality, inclusion is a choice. Take it. Finally, it is important to remember the role that chance plays in all of our lives and the responsibility that comes with good fortune. Well said, "Select your teams wisely and recognise that while diversity is a reality, inclusion is a choice. Take it." It one of true, objective conversation in a very long time for me.